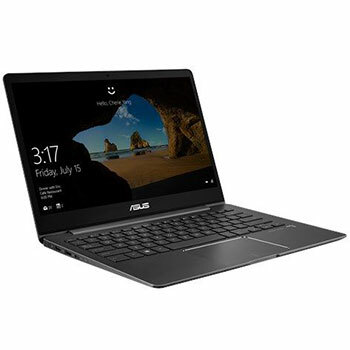 Here are Asus Zenbook UX331FN-DH51T drivers for Windows 10 64 bit you can download and install to allow your laptop operate properly. The Asus Zenbook UX331FN-DH51T is 13.3-inches laptop powered by 8th Gen ultra-low-voltage 1.6 GHz Intel Core i5 8265U dual-core mobile processor with discrete NVIDIA GeForce MX150 graphics video card. This Asus Zenbook 3 notebook comes with 8 GB DDR4 SDRAM and fast 256 GB Solid State Drive (SSD) storage to store your documents. This mobile computer features 802.11ac (2x2) Wi-Fi, USB 3.1 Gen 1 port, HDMI 1.4 port, Harman Kardon stereo speakers, and 4-cell 50 Wh Polymer battery.